Many people are looking for a smile they are proud of. Whether is it teeth whitening or teeth straightening, you always want to find the best option available. 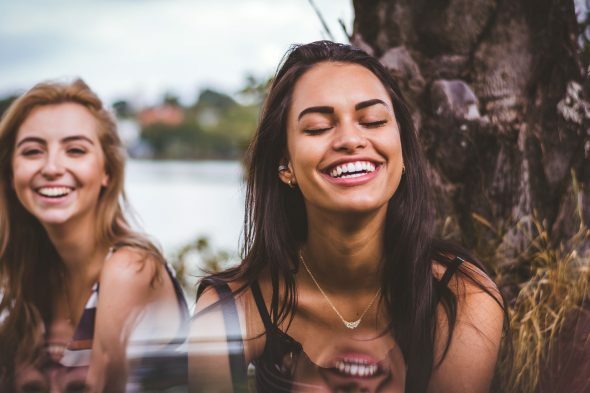 Read on to find out why Invisalign is the better option for teeth straightening in comparison to traditional braces. Traditional braces are often feared by most due to their bulky and obvious appearance. Many people suffer with teeth they’re not happy with just because they don’t want to go through the experience of traditional braces. They can dampen your confidence and food can get caught in them without you even being aware! Invisalign braces are designed to look invisible. This eliminates the need to worry about the way your braces are making you look. If you would like braces that don’t affect your appearance, Invisalign are the way to go. Another downside to traditional braces is that they are extremely clunky and made out of bulky metals. These metals may look relatively small to the eye, but when in your mouth they take up a lot of space. As well as this, they are permanent and so food gets stuck in them when you are eating and it can be very uncomfortable. Invisalign braces can by removed when you are eating to avoid discomfort, they also are super comfortable to wear. Whilst traditional braces can take up to 6 years to get your teeth to their optimal position, Invisalign braces can take as little as one year to give you your dream smile.